While participating in our residential treatment program, adults in recovery from Substance Use Disorders live in one of several facilities in Hagerstown and Frederick. Upon admission, patients are provided with peer support by being assigned a buddy within the house. Direct Care provider staff are also available to help get them oriented into the house community. They are encouraged by their counselors to build a community of support by attending local 12 Step Meetings (Alcoholics Anonymous and/or Narcotics Anonymous) and obtaining a program sponsor to receive further recovery guidance and support. Once an individual has been admitted to the 3.1 program they are assigned a counselor, who performs an intake assessment. The intake assessment includes individualized case management for needed services including, but not limited to, obtaining an ID, obtaining health insurance, referrals for medical and/or mental health issues, and referrals for food assistance. Individuals will participate in therapy groups and meet with their counselor on a regular basis for the duration of their stay in residential treatment. 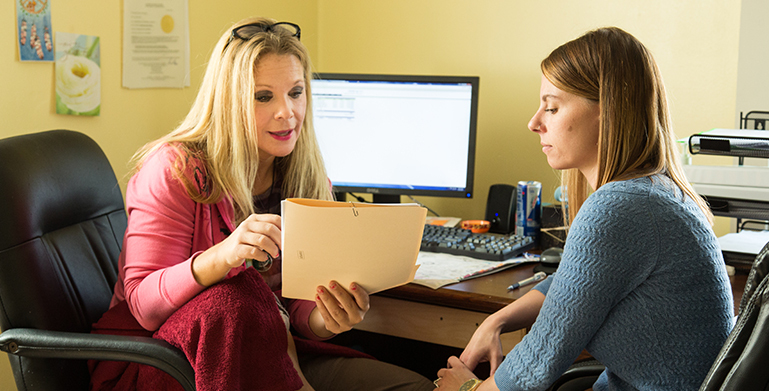 Family counseling is available for patients’ parents, spouses and other family members. If assessed as needed, residential treatment patients will attend Intensive Outpatient Program (IOP) group sessions each week. IOP sessions focus on, but are not limited to, developing healthy coping skills, anger management, relapse prevention education, identification of defense mechanisms, core beliefs, and identifying and coping with triggers. Patients also attend Life Skills classes, offered twice a week for a total of three (3) hours. Classes focus on a range of topics, including, but not limited to: preparing a resume, balancing a checkbook, preparing for a job interview, etc. GED classes are offered twice a week for two hours each day, for individuals who have not obtained their high school diploma. Once they leave the residential program and become outpatient clients, we continue to work with them to help them obtain their GED. As patients progress through treatment, services are focused on continued engagement and assessment of the stages of change. Evidence-based practices include patient-centered counseling, cognitive behavioral counseling, motivational interviewing and problem solving strategies. Self-directed treatment plan goals, focused on the individual’s specific areas of need, are developed for each patient. 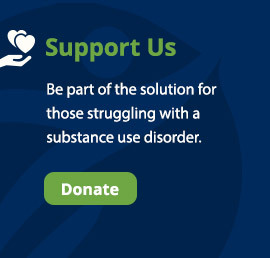 Individualized treatment planning that targets specific needs such as food, clothing, housing, transportation, medical care, mental health care, employment, and education, incentivizes patients to remain in needed treatment, thereby reducing substance use and increasing their chances of continuing their recovery. Therapeutic environments, combined with the evidence based practices employed at the Wells House assist patients with how they relate to their environment, improving their recovery skills, relapse prevention skills, and emotional coping skills, thereby increasing the patients’ self-worth. Patients have the opportunity to develop and practice their interpersonal and group living skills, strengthen their recovery skills, reintegrate into the community and family and begin or resume employment or academic pursuits. Patients who stabilize and meet criteria for stepped down services can be placed in outpatient services or recovery or transitional housing services. Wells House strives to ensure continuity of step down services for all patients served. Patients in our residential locations follow a structured program that includes treatment groups, recovery groups and engagement in community activities that allows for full engagement in the recovery process with limited down time. All residents are to be out of bed, showered, clothed and beds made by 8:30 a.m. Monday through Friday. Breakfast must be eaten by 8:45 a.m. weekdays. Patients must sign in and out of the residential program when leaving the facility. There is a curfew that patients must abide by and all patients must attend mandatory house meetings. Patients in our intensive outpatient and outpatient programs are provided group schedules that address the needs of the individual’s employer, education and family obligations.